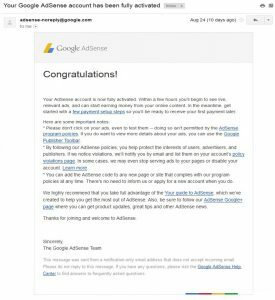 Has “How to Get Google AdSense Approval Easily for your Blog or Website” ever been your all-time desire? Do you dream of having the breakthrough of “Getting an AdSense Account you could call your own?” Be troubled no more; as all you need is in this post. With thousands of People rocking it with Google AdSense, it’s still an agelong desire for many people to get on this path. To some, Google is partial and to another set of people, getting AdSense approval is not within the reach of the common bloggers. But wait… Why would Google just want to be this hard on giving out their AdSense program to as many bloggers as would love? Because they don’t have outstanding business instinct or that they can’t handle many publishers? No matter what your questions and answers regarding AdSense is, you sure know Google AdSense is one of the best ways to monetize your blog or website. Gone were the days when AdSense was as easy as calling “Sweetheart.” It’s now an admixture hard work and fate for anyone trying to be part of the AdSense program. To be factual, you and I know that it’s almost becoming a lifetime mystery to have Google AdSense approved within few months of setting up a blog or a website. But the last time I checked, Google is still ever willing to give to every blogger or website owner that does well in their site as far as their terms of service is concerned. 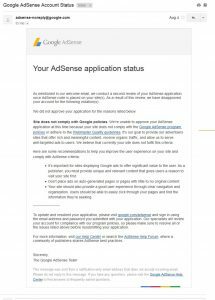 How long can it take my blog to get Google AdSense approval? How can I pass the first and second stages of AdSense review? How can I make sure that my blog is approved? 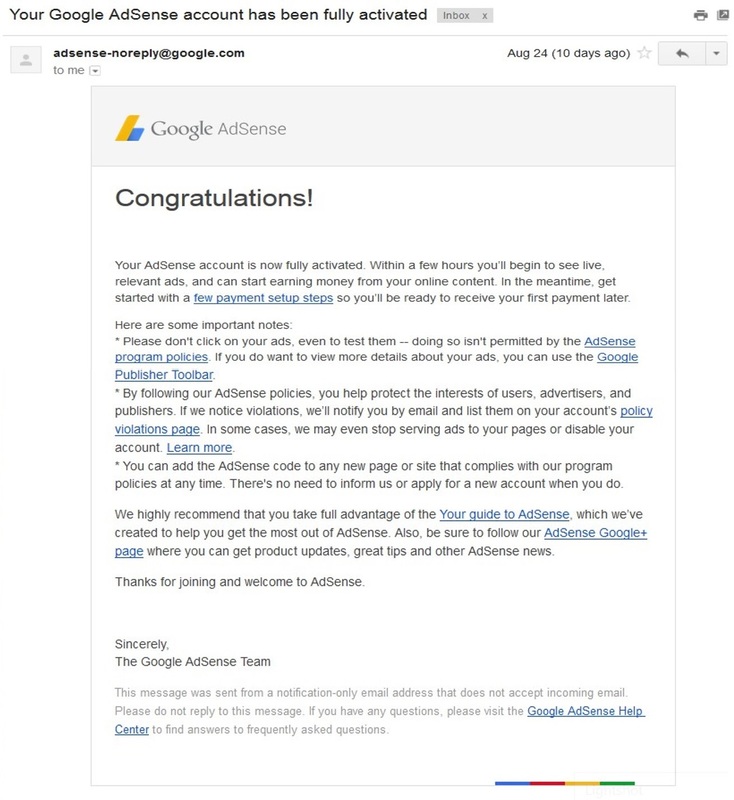 What’s the secret of Google AdSense Approval? Have you ever asked any of these questions without the lasting answer? And if yes, you are here for the one-off answer you need. But before we continue… Let me warn you! Yes! Warning… And a serious one at that. Here is the warning: never disagree with what you are about to read. If you do, you will learn later, and it might be too late! So, if you are a believer, cross your heart and let’s go there! The website bloggersanswers.com is a new site as you can see (as at September 2015), even though I have had some years of blogging experience. In the bid to test my SEO instinct and prowess, I had told a group of people on WhatsApp, that I could get AdSense approval within a month of setting up a blog. It was like one of those bizarre beliefs and was worth waiting for. So I asked that a new blog be set. I wrote all the content on the site and after two weeks of setting up the site, I applied but Google disapproved like they would do for most bloggers. For the two weeks following, I didn’t do anything on the site. I didn’t drive any traffic to it apart from the referral traffic (average of 20 visits per day) that it was getting from sweetlovemessages.com. You know why I did that? I wanted to know whether it was because the site was barely new or that something was actually wrong. And the plan was, if I apply again and it’s rejected, then I will know something is actually wrong and I would begin to work on the site. I expect you to doubt what I am saying, but here is the proof. Ahref proves that the site first appeared on Google on the 15th of July, 2015. See the Image below. You can click on the images to see a larger view. Was I perturbed by the disapproval? No. I just knew it would be approved. And the reason why I didn’t do anything on the site before I reapplied the second time after which I got the approval. I will answer those in a jiffy, even with statistics. There is no doubt that I have a cutting-edge knowledge of SEO and have gotten enough breakthrough and mouth-watering results as proof. Sweetlovemessages.com is my proof: more than 70% of the visitors on the site come from Google Search as over 20% are returning visitors. On the overall, more than 90% of the visitors to the site on monthly basis is come is the combination of organic and direct (returning) visitors. Normally, before I would set up a website, or write a content, I would do Keyword research using the normal Google Keyword Planner – but in a special way. I would set out to target a main keyword in which case “Love Text messages” is the one I aimed at for this purpose. So, I bought ilovetextmessages.com, did enough keyword research on the keywords to target, wrote few posts around it and boom! On ilovetextmessages.com(as at the time I was writing this post), I only had two posts that were keyword rich (Each was at least 4000 words long) and the rest were just written with adequate SEO in mind; around 60 posts with words varying from just 100 – 150 in length. You see, people have been like, before Google can approve you, all your posts must be at least 1000 words… bla bla bla! Google mainly wants sites/blogs that put SEO in mind. Sites that have the potential of getting search results from Google Search engine. The rejection form they normally send is a proof of that. We will be there in a moment. And did ilovetextmessages.com meet the SEO standard? As at the time I was writing this blog post, the site was having almost 100 search queries; and it was just a month old. See the Screenshot below. Google can see the future of a site through the content on it and so could tell if the site is SEO friendly or not. In fact, the site had already been receiving traffic from Bing the first few days, and Google followed like after a week or two. If Google will not approve your AdSense submission, the texts in red inks above are the reasons. Let me explain what each of them means. Before Google rolled out their Penguin Updates, Search results used to be in favour of the bad guys. Back then, one could search for a subject on blogging, and the site clicked on would have nothing blog-related. People would place ads on auto-generated pages and were making it big with AdSense then. There were many black hat SEO techniques in place until Google decided to punish as many websites as possible that were violating the Google Webmaster Policies. Since then, it’s either you serve quality content – contents that are well written – or you stay on the lonely path of not getting to the front page of the Search Engine Result Pages for your targeted keywords. Relevant is key when planning to apply for AdSense. And so you must be willing enough to write contents that visitors would want to engage with. This is where many bloggers get it wrong. But I am a living testimony to writing unique posts. I don’t copy and paste, I write my contents all by myself, with up to 6 websites. If I will copy at all, I will have to rewrite to pass plagiarism test. Not only writing unique posts… you need to learn how to write search engine optimized posts; this comes easy when you know how to use the Google keyword planner and how to really write lovely posts. Imagine all bloggers writing contents – blog posts – that are not search engine worthy, what would happen? There won’t be any reason to go to Google to Search, and that means Google search would become useless in no time. So, google expects you to write contents that have the potential of appearing on search engines, whether on first page notwithstanding. They know it takes hard work to be on first page and so won’t ask you to be there before they consider your request. To help you, they have provided the Keyword Planner Tool, and there are many Keyword Research tools out there also that you can use. One of the main criteria for getting AdSense approval these days is to make sure your website is user-friendly. To neglect this criterion is to see yourself submitting Google AdSense Request and being rejected forever. If you look keenly to the rejection mail above, you would know that “user” was mentioned over three times. Scroll up to see. Because, “Search User Experience” is the new SEO. Before you apply for AdSense, make sure your blog is user friendly, with outstanding user experience score. You can use the PageSpeed Insight to get this done. 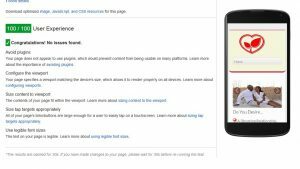 For the first one week of setting up the site, I dug deep into Google’s PageSpeed insight and found some interesting features you need to work on before you would apply or dream about getting approval. 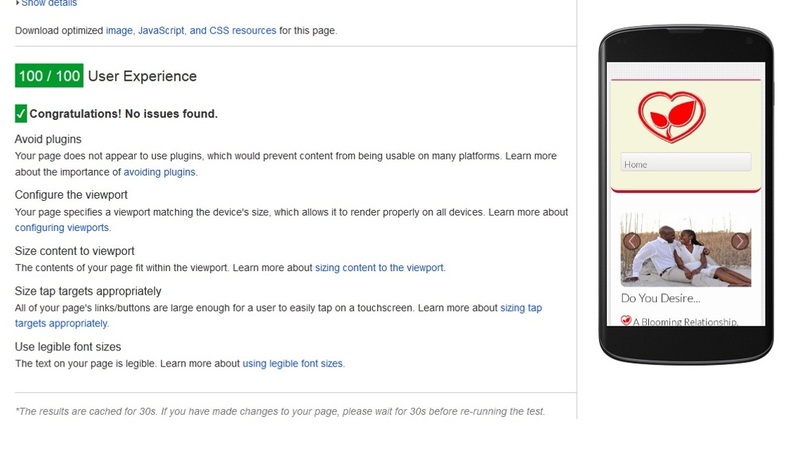 Google hates your site if it’s not mobile friendly… And if it has poor user experience. If you want to get quick AdSense approval, make sure you work on this. Google doesn’t want a design that will give users unwholesome experience. And they frown on sites that would have buttons stay close to texts, make their AdSense flying off the screen or tend to deceive users/visitors to click. The User Experience Score is easy to improve since Google will show you exactly where to improve on your site. And as you make the changes, the score would improve. If you have not passed the mobile test, don’t apply yet. Check your Page Speed and User Experience by using the Page Speed Insight tool. You can see below the “before and after” Score. When you are asked to place a code on your site, make sure you use the “responsive ads unit” code. That won’t affect your user experience rating and won’t conflict with the Google AdSense TOS. If you use any of the “Ads Unit” that flies off the screen on mobile devices, that could affect your approval for real. Yes, Google still loves that and forever will, and even if ilovetextmessages.com only had backlinks from around 5 websites as at the time it was approved, that’s much okay. Ask your friends to include your url in their posts or create a sidebar where in your blog’s url would be. Remember, Google wouldn’t disapprove your AdSense request for not having backlinks. Hey! Don’t go into the backlinks building scheme. Don’t even buy any backlinks from nobody. Google would punish you for real if you do that. Few links from your friends are okay, I repeat! Oh! About Images. I remember downloading many images to be used on my site. Google doesn’t know whether you bought images or not, so don’t bother yourself about the authenticity of images to be used for your website or blog. And if you don’t know, Google Crawlers don’t see images. They only know it exists with the description you give to it. A sign of relief? Gbam! When you want to apply for adsense, make sure you remove any pop up on your sites and slow down for affiliate programs because you don’t know the one that is bad on Google’s eyes. And if you are signing up from Nigeria, make sure you use you real home address. Stop using Uk and Us addresses thinking it will help easy approval. Use a Gmail, even if people have few suggestions as per the email to use, like the guy in the video below suggested. If you have questions, kindly ask in the comment box below. Thanks for your time. 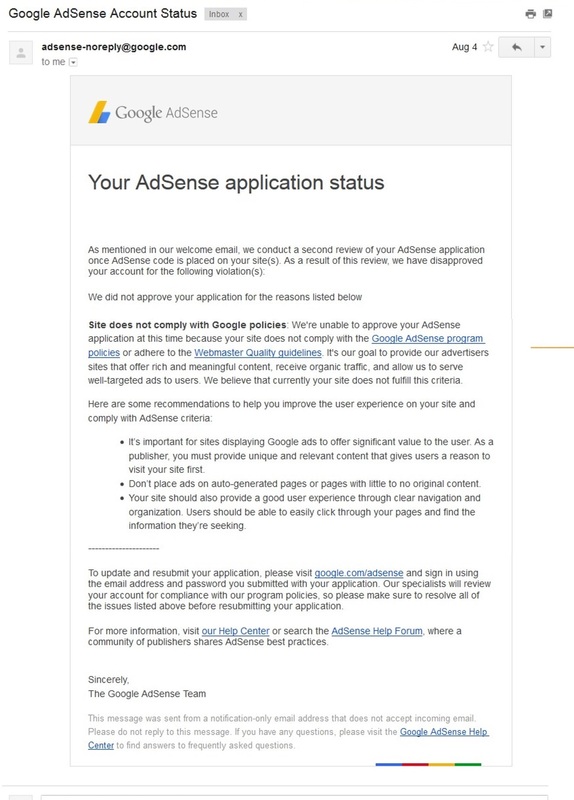 Many people have given wrong perceptions about getting Google AdSense approval and have left many discouraged; but I have outlined it for you to see. I know you really would love to learn and so I a inviting you to join me as I take you through the SEARCH ENGINE OPTIMIZATION JOURNEY. YOU WON’T REGRET IT. Nice. Post, and I’ve already learned something new…. I am glad you learned, Akham. Thanks for Visiting. Nice one boss, I think I should give this AdSense thing another shot with your strategy.. Thanks for the insight. Exactly, Nuel. Never say never. Let’s see how it turns. Great thought Nuel. Let’s see how it turns. Thanks Beejay for the cooling comment. DSA, that’s lovely. I promise to keep the fire burning. My boss! I hail. Thanks for visiting. Thank for the post,,,post is very useful especially for me… I think I have to try ur style… If I dont get anystep I will contact you.. And I will be very happy if you will help and reply. Good plan, Hayaanda. Let’s see how that turns out. Glad that you found it useful. Thanks, Adeel. Glad that you found it informative. God bless you for reading too, Monday. Thanks. You need help? You read this post and didn’t get something that could help you or what? Educative and genuine adsense approval blog post. I really like the way the post was written even thiugh i scaled through some points in a jiffy but still the points i noted down was ?? really interesting. Thanks so much Samex. I am glad that you love it. lovely post i must say…….and now i have to take these same steps, so i can achieve same thing that you achieved …. i believe with due follow up and hardwork it will happen.. thanks for everything sir.